Yes someone removed the sticky section and all that stuff about the funding of the studies claiming an announcement from the foundation soon. Great to see more people getting involved in this project, here. This is our best shot: help ourselves out of this mess. This is our route to freedom. Do we have enough genomes yet? We have about 40 so far. We should have at least 50 to get anywhere near what could be called statistical significance (GWAS studies typically run hundreds or even many thousands of genomes). I am hoping that we will get by with less because our problem is presumably rare. I will invest some time over the upcoming holiday season to see if we can already detect a signal. The holiday special is still going on until DEC 25 for incredible $69. This would truly be money well spent. @axolotl and myself had a meeting with a scientist a week ago. He was of the opinion that what we are doing is a great project and he is looking forward to seeing our results. The ultimate objective of what we are doing here is to find genes which are implicated in predisposing us to PFS. This information can then be used to develop an animal model. We need such a model to help us evaluate therapeutic approaches, without endangering patients. My intention is to do a preliminary assessment and produce some pilot data. If it looks good, I then intend to hand over the project to a scientist specialized in GWAS studies. Is the 40 just PFS genomes? Uploaded from users on this site, so we probably have some isotretinoin and pssd users too. Additionally, I have 13 pssd genomes from the pssd forum admin. I will need to check it out more closely in the next weeks. Although it’s still 10 short of our most basic target, 40 genomes so far is fantastic - evidence of an effective combined effort which will hopefully start to bear fruit. For all those who have still to participate, let’s push it way beyond the 50 - it’s in all our interest. Thank you so much for your support of this project. It’s a great and cheap thing to do. Considering this is the price of about one serum lab result, and it has a shot of providing some really practical data, we’re grateful to those taking and submitting their info. I am now compiling and implementing where possible feedback from the users who participated in the public beta test of our survey. This exercise has been a great success and the feedback has been thoughtful and helpful. Thank you so much to everyone who took it in advance and provided your thoughts. We’re looking forward to launching the survey very soon! Hey guys I got my 23 and me data in a zip, it then opened into wordpad with categories RSID, chromosome, position and genotype. Is this what I need to upload ? 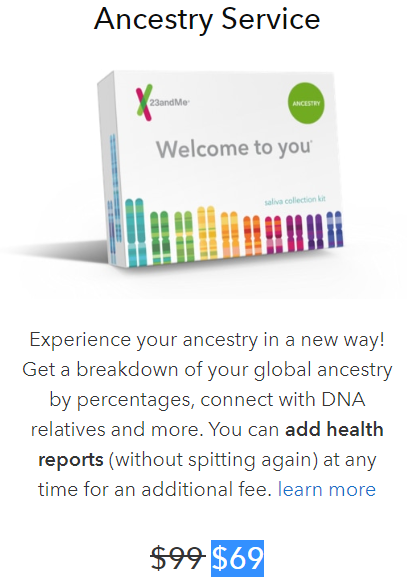 are you still taking the gene test? also, does anyone else have an MTHFR mutation? i most likely do, and i had to use a different type of vitamin b12 because of it, which cured symptoms I was experiencing prior to that. i have the MTHFR mutation - I took methylcobalamin per recommended and noticed zero difference. i took hydroxocobalamine injections, cured my energy problem. I just updated my results as well! Are there women in this forum?